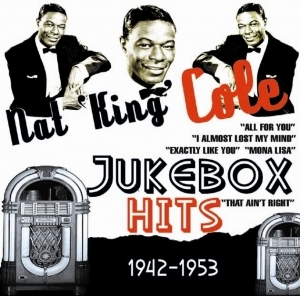 Collected together for the first time are 26 of Nat Cole’s R&B chart hits from 1942 to 1953. In early 1943 “That Ain’t Right” became Nat’s first No 1 on the Harlem Hit parade. As on many of the early 78s he and his trio performed in the then popular jazz line up of guitar, piano and drums. Nat King Cole’s piano playing was initially his calling card, his vocal talents developing when he began to make records. There are plenty of examples here of his amazing keyboard style which became hugely influential during this period. Some of these early R&B oriented hits like “Route 66”, “Straighten Up And Fly Right” and “Gee Baby Ain’t I Good to You” were still performed by him after he became an international pop star. The earliest examples of his pop stylings, “Nature Boy”, Mona Lisa”, “Too Young” and “Pretend” were also huge hits on R&B charts. This is a different look at the early recordings of one of the 20th Century’s most enduring stars.